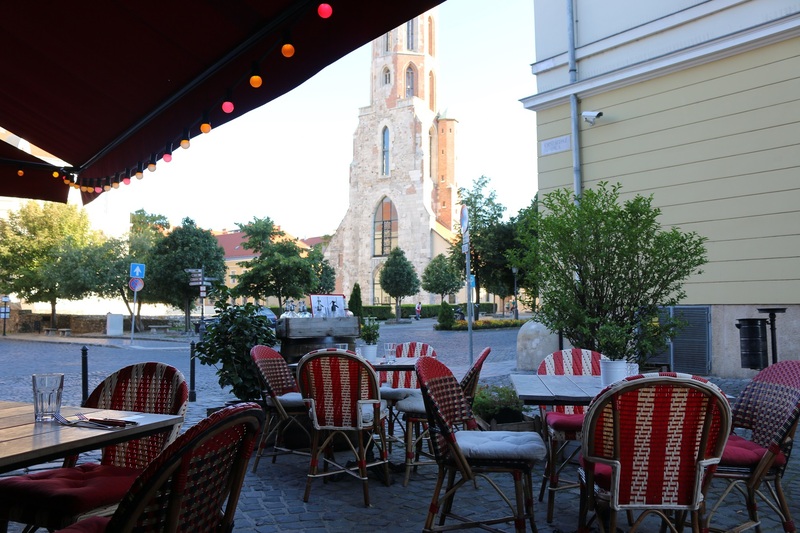 Baltazar hotel is a funky, Buda establishment, a stone throw away from the iconic Matthias Church in Budapest. The decor is uber modern yet retro. 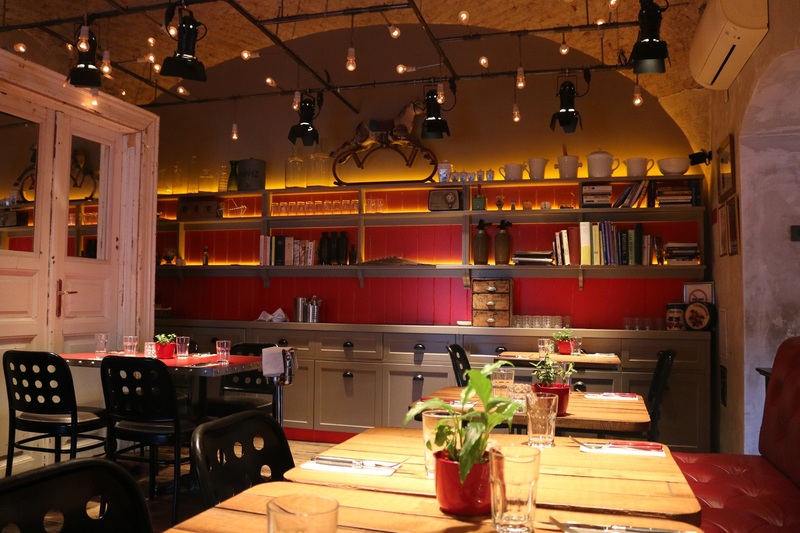 The Baltazar Grill has a rather trendy, cool vibe. In the peak of the summer, al fresco dining is a great pleasure. Overlooking a church, hearing the bells chime at random hours reminds you of the history that surrounds you. The menu is full of sharing platters and grilled meats cooked on the famous Spanish Josper Grill. The servers are rather charismatic and charming. 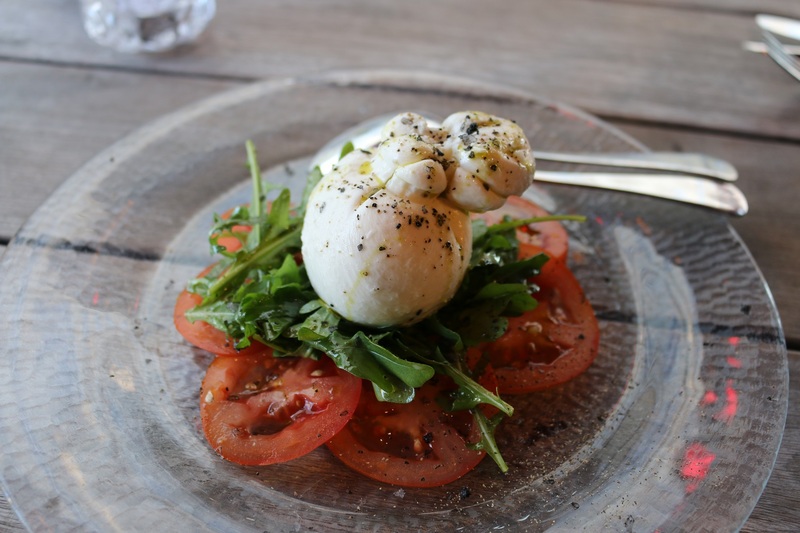 With a new found love for Burrata it was treat to have this served as a Caprese style salad. Burrata is an indulgent mozzarella filled with cream. It is light but satisfying when served with fresh basil and tomatoes and peppery rocket. 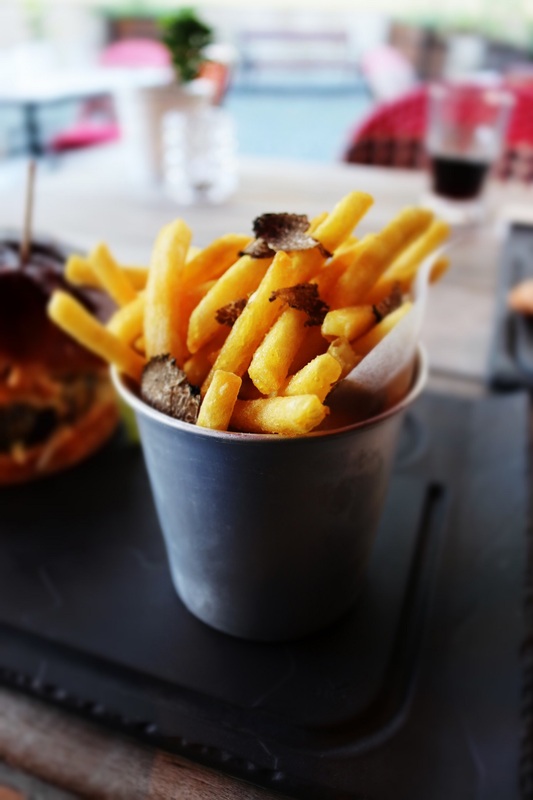 The truffle French fries are rather pungent, topped with shavings of truffle. 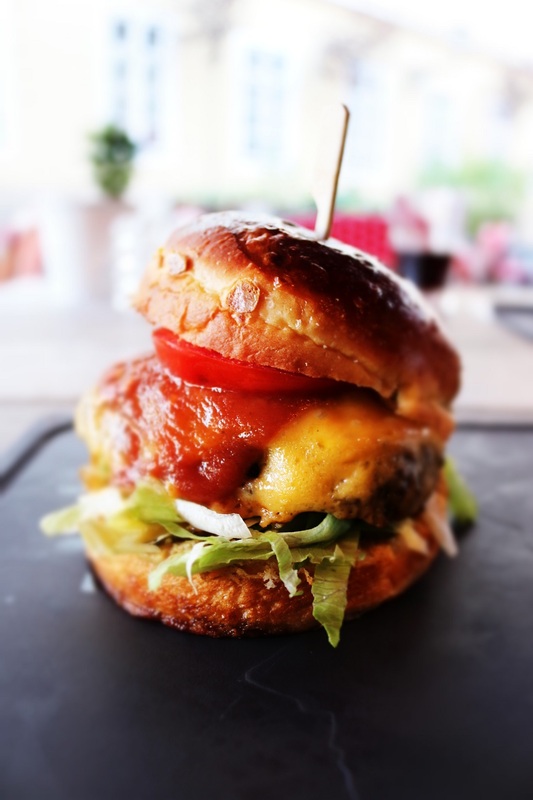 The burger is pretty darn good. Layered high with lettuce, tomato and brimming full of cheese, with homemade sauces seeping out, it’s fully loaded and is mouth-wateringly good. 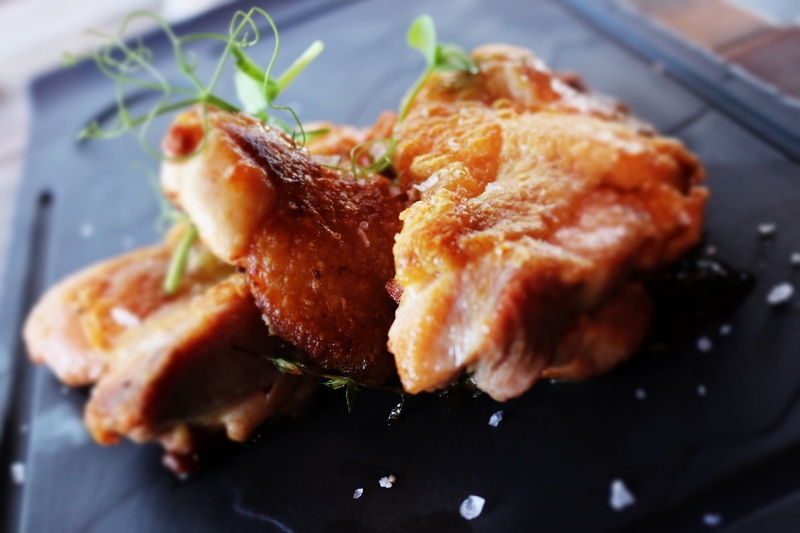 The grilled leg of chicken with crispy skin with dashings of rock salt is tender and succulent. The portions are rather generous and we will have to go back to try their desserts. All in all Baltazar is a great spot for dinner in Budapest. It’s quirky and would be ideal for a small group of friends celebrating a birthday.